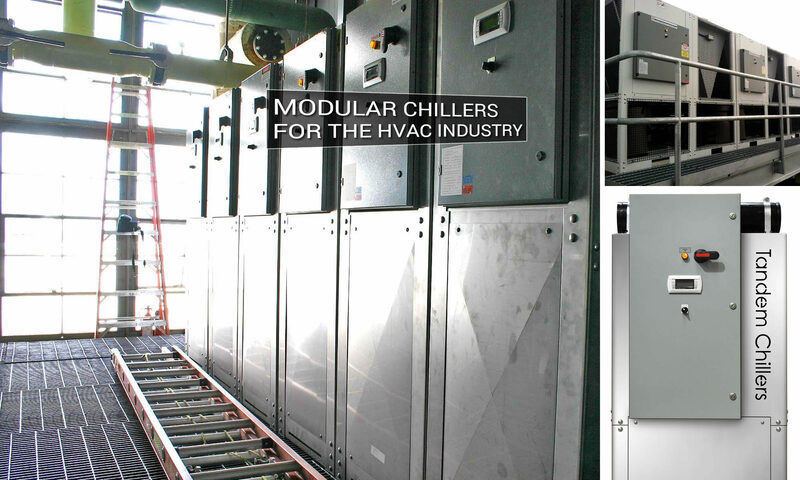 Tandem Chillers designs single and double heat pump packages for chilled or condenser water. Range – 25 gpm to 1000 gpm, 1 ½ hp to 40 hp pump motors, discharge pressure 30 hf (15 psi) to 150 hf (65 psi). For more information about what we offer visit Pump Packages. Models: SP- Single pump system. 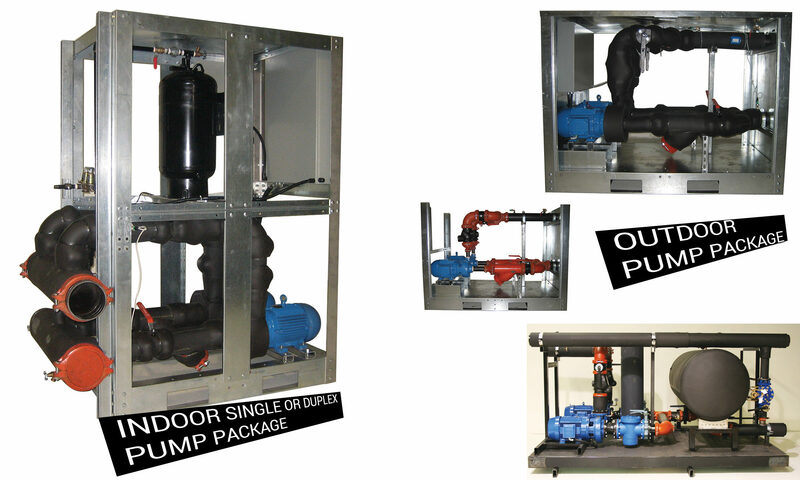 DP – Duplex Pump Package. All Pump Units are UL 1995 approved. Future third pump for expansion or automatic stand-by. Expansion tank with inline air scoop, automatic air vent and fill valve. Stainless Steel Buffer Tank with air vent and pressure relief valve. Automatic Glycol feeder from 6 gallon, 17 gallon and 45 gallon glycol holding tank and pump. Pre-piped and wired on a common skid. Larger Penthouse style units with heaters, fresh air inlet and ventilator fan.